Southeast Tennessee is a land dominated by rivers, and the Hiwassee River—less than an hour’s drive from Chattanooga—is one of the tamest waterways for families and beginners to experience the thrill of whitewater fun. 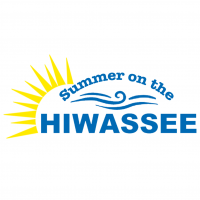 Outfitters: Four outfitters on the Hiwassee River provide raft, kayak and funyak rentals and shuttle services: Webb Brothers Float Service, Hiwassee Outfitters, High Country Adventures and Ocoee Outdoors. Camping: Gee Creek Campground, part of the Hiwassee/Ocoee Scenic River State Park, is a family-friendly campground offering 47 campsites along the Hiwassee River. Public water and a bathhouse containing sinks, commodes and hot showers are located near the center of the campground. Farmers market: The Delano Community Farm Market, operated by members of a local Mennonite community, is open Monday through Saturday from 9 a.m. to 5 p.m. It is located at 283 Needle Eye Lane on Delano Road off Highway 411, just north of the Hiwassee River and between Benton and Etowah, Tenn.
A designated Tennessee state scenic river, the Hiwassee River is a great fit for a family raft float or trying out a funyak. Based on the International Scale of River Difficulty, the Hiwassee River is primarily Class I (moving water with small waves and few obstructions) and Class II (easy rapids with wide, clear channels and some maneuvering required). Certain sections may be considered Class III (rapids with high waves capable of swamping an open canoe, which require complex maneuvering). Four outfitters offer a variety of watercraft (rafts, funyaks and tubes) for whitewater recreation on the Hiwassee River: Webb Brothers Float Service, Hiwassee Outfitters, High Country Adventures and Ocoee Outdoors. Webb Brothers Float Service, a family-owned operation, has owned their riverfront acreage since 1880, when it served as farmland. In 1936, the Webb family opened a general country store at the site, and in 1969, they started outfitting river rats by investing in 10 inner tubes and one raft. Four outfitters serve more than 100,000 visitors on the Hiwassee River each year, offering self-guided whitewater watercraft and shuttle service, as well as camping and cabin rentals and more. Most outfitters are open from Memorial Day weekend through Labor Day weekend. Gee Creek Campground, part of the Hiwassee/Ocoee Scenic River State Park, offers 47 campsites along the Hiwassee River. The headwaters of the Hiwassee River begin in the mountains of northern Georgia and flow through North Carolina before veering west into Tennessee to join the waters of the Tennessee River. The entire Hiwassee River basin drains 2,700 square miles of land, much of which lies in the Chattahoochee (Georgia), Nantahala (North Carolina) and Cherokee (Tennessee) national forests. Whitewater recreation on the Hiwassee River is regulated by the Tennessee Valley Authority for flood control and the production of hydroelectric power via three impoundments: Chatuga Dam, Hiwassee Dam and Appalachia Dam. Water is diverted from the streambed at Appalachia Dam and sent through a pipeline that is tunneled through the mountains for 8 miles and then gravity fed through the Appalachia Powerhouse between Farner and Ducktown, Tenn., to generate electricity. Four outfitters serve more than 100,000 visitors on the Hiwassee River each year, offering self-guided whitewater watercraft options and a shuttle service, as well as camping and cabin rentals. Webb Brothers provides a shuttle service upriver to a put-in just below the Appalachia Powerhouse. From there, it’s a four-hour self-guided float in 54 degree Fahrenheit water back to their takeout ramp. According to Webb, children ages 3 years and older can ride in a raft. Age limits vary by outfitter for inner tubes and funyaks. Alcohol, glass and Styrofoam are prohibited on the Hiwassee River; and lifejackets are required by law.